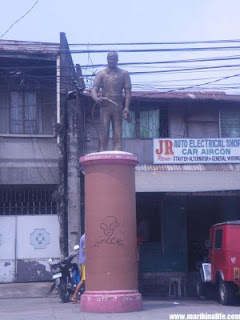 Scattered around Marikina City are several pillars with statues placed above them. Each pillar has a worker whether a profession or work-related activity. The pillars reflect the hard working people of Marikina in all walks of life. Bayan-bayan Avenue has one of the most number of statues which are alternately placed on each sides of the avenue's stretch. 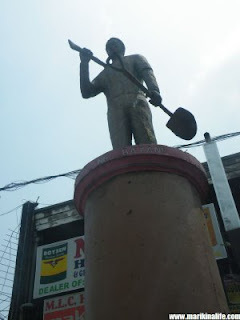 Some of them include a tricycle driver (with an actual tricycle statue) a gas boy, and a construction worker. As you travel within the city roads, try to find one around the corner or along the road and guess what the statue's profession is. I am interesting in these statues, would you know who made them and when? I am interested in these workers' statues. Would you know who sculpted them, and when?